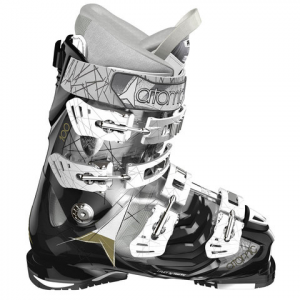 Feel nimble, like a predictor on the prowl when you're in the Atomic Hawx 100 Ski Boots for women. This high performance boot has a stiff flex for better control on the mountain. Women specific fit system makes the Hawx 100 ski boot by Atomic comfortable for a full day of skiing.